Sameer works with Hewlett-Packard - Decision Support and Analytics (DSAS) and serves as the leader for Knowledge Management and Communications. At HP, he has been responsible for setting up an integrated KM, information and communications program based on contextual KM techniques. 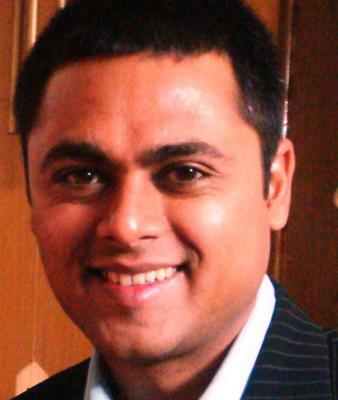 Sameer has been associated with the Internet domain in various capacities since 1998. He started off as an entrepreneur at the beginning of the ‘dot-com’ era – selling web design, development, hosting and email services and providing technology consulting to a leading business group in India. He then moved on to an advertising agency (Combit) where he led a large team that designed and developed 100+ websites and several print and web campaigns. Being a small organization, Combit also provided Sameer with an opportunity to try his hands at client servicing and copy writing! Then came the dot-com bust and Combit went bust too! Thankfully Sameer got introduced to the world of Knowledge Management through a job at A.T. Kearney. He spent close to 4 years at A.T. Kearney learning the various nuances of Knowledge Management – from technology to strategy to operations. Post this, Sameer moved to Genpact where he led the corporate knowledge management initiative at a global level. shop motor car spare parts and filters some time we seed. Thank you so much for your entry in the Directory. We are sure that others will find your details and KM capabilities very interesting indeed, and we hope that you will find the Directory to be of benefit too.